The NFU's EU exit and international trade team has produced a summary of the government’s consultation paper on the future agricultural policy post-Brexit. NFU members can access the NFU's summary of the government's consultation paper here. (You will be asked to log in). Government is keen to make clear that at present the proposals contained in its document are not yet set in stone. While we know that there are some issues on which the government has made its position clear, it’s important to recognise that this consultation paper provides a critical opportunity to shape the government’s thinking on agricultural policy. The NFU has arranged a significant programme of member meetings across England to present the government’s proposals and to give members the opportunity to shape the organisation’s response. A list of the meetings taking place near you is available on NFUonline. To book your place at a meeting, please contact your regional office. We are keen to hear from you, our members, so that your views are included in the NFU’s response. You can do this by emailing your views to the HQ team at QnJleGl0QG5mdS5vcmcudWs= by Friday 27 April 2018. NFU’s national and regional boards, sector boards, policy board and NFU council will all dedicate time to discussing this consultation in the weeks ahead. 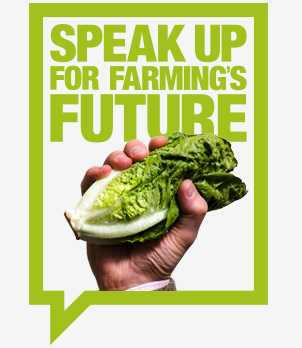 Have your say at an NFU meeting in your region. Find out where your nearest meeting is here. Email your views to the NFU’s Brexit team at QnJleGl0QG5mdS5vcmcudWs= by 27 April. Get in touch with your national or regional sector board as it discusses the vision for British farming.